A good way to begin your search for assistance is understanding your foreclosure prevention options. This article will help you understand your foreclosure prevention options, and explain the advantages of hiring legitimate foreclosure defense attorney representation to help you obtain the best possible outcome. This page will help you understand your basic foreclosure prevention options, and the advantages and disadvantages of each. If you only take one thing from this analysis, it should be “hire a foreclosure defense attorney”. 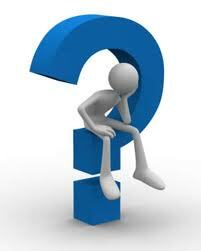 Statistics show that your chances of success are very small if you attempt the negotiation process yourself! An experienced foreclosure defense attorney is in the best position to help you understand your foreclosure prevention options, and get you the best results.Accordingly, we strongly recommend foreclosure defense attorney representation for any distressed homeowner. You can find an honest foreclosure defense attorney that provides legitimate, affordable representation for homeowners. Your job is to choose a foreclosure defense attorney IN YOUR STATE that offers the scope of services you need. Many law firms that offer foreclosure defense retainer agreements. These firms will typically do everything possible, short of filing lawsuits, to resolve your mortgage. These attorneys are best classified as “loan modification” attorneys, and their legal staff performs the majority of the work, so don’t expect to speak with the attorney much. 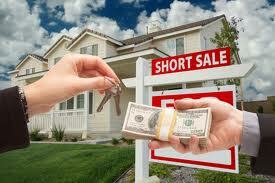 They are quite competent to prevent a foreclosure and obtain a loan modification or other foreclosure alternative. However, make sure that your retainer agreement covers attorney functions. These functions include answering complaints, filing counter-claims and motions, and all court-related matters, especially in a judicial foreclosure state. The majority of foreclosure defense attorneys and law firms offer just such a retainer. It allows them to offer these services for a few thousand dollars in affordable monthly payments. These firms typically have the experience to offer a substantial value to their clients, and are recommended over non-profit assistance or attempting the process yourself. There are many non-profit organizations that can provide you with assistance and the levels of service can differ greatly. One of the toughest challenges of working with a non-profit is that most have limited resources and are restricted in their abilities. Also, The Federal Trade Commission bars ANYONE other than an attorney from representing distressed homeowners in ANY debt negotiation. Non-profits can basically help you submit an application for assistance. They can also offer you general advice on navigating the process, but there is a fine line that they must skirt. They cannot give you legal advice. Unfortunately, this means the negotiating will be left to you. 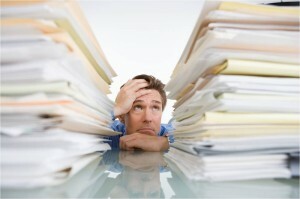 Do you have the time, knowledge, and experience to handle the complex negotiation of a mortgage? Would such a negotiation be better left to an experienced foreclosure defense attorney? 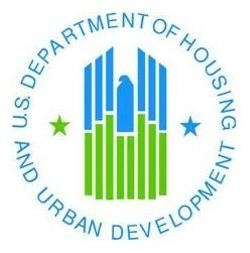 We recommend that you use the U.S Department of Housing and Urban Development’s (HUD) list of Approved Housing Counseling Agencies for non-profit assistance. However, you should be clear that we are strong advocates of foreclosure defense attorney representation. 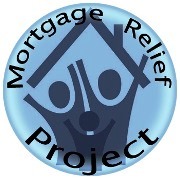 Many non-profit organizations will refer a distressed homeowner to a foreclosure defense attorney anyway. We recommend skipping non-profits and speaking to a foreclosure defense attorney from the start. While this may seem an inviting option on its surface, it is not recommended. If your bank indicates that they are willing to “work with you”, you should be cautious. Many lenders are notorious for operating what is often referred to as the “dual-track” system. This is a practice by which your lender is moving forward with foreclosure while your request for assistance is “under review”. Although this practice is now illegal in most states, evidence of its continued practice is abundant. You can also just do nothing, and the foreclosure process will run its own course. You will eventually be evicted from the property. Both the foreclosure and eviction will become matters of public record, listed on your credit report. Taking this path will result in the most damage to your future. Where applicable, you may also end up owing a hefty deficiency balance. This option does not make much sense, when you consider all of the programs available to homeowners these days. In addition, many legal professionals now have extensive experience in foreclosure defense and individual litigation, that can represent your interests and resolve your troubled mortgage. Most lenders are willing to negotiate a settlement, even if you can no longer afford your home. A settlement will allow you a smooth transition that will not damage your credit the way a foreclosure and eviction will. Lenders are amenable to these solutions because it spares them the heavy costs of the foreclosure and eviction processes. Furthermore, lenders will sometimes offer cash for the return of the property, so don’t just let foreclosure run you over!